Umm.. 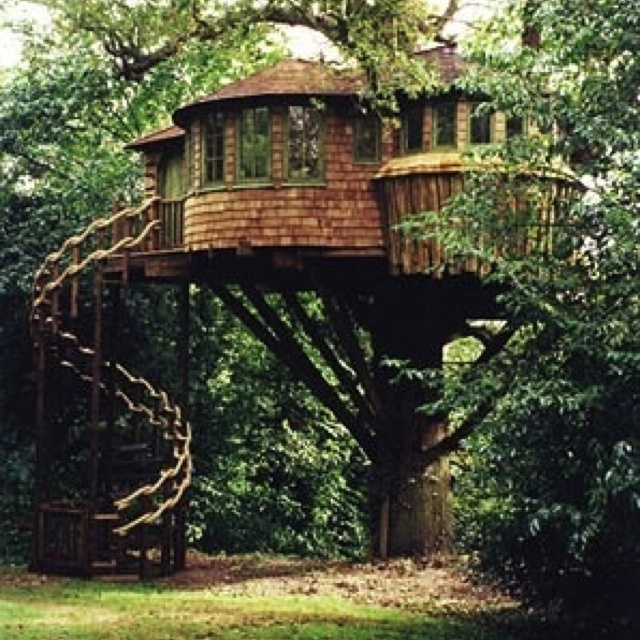 I'm just going to come out and say it, if you don't think treehouses are awesome, then we probably can't be friends... It's nothing personal, per se.. More just something that's "rooted" (ha!) in fundamental values... or the possibility that you were never a child. However, if you're open to me trying to change your mind about these ethereal wonders of the world, then there might be hope for our friendship after all. If so, my campaign begins: NOW. This post was inspired by my latest addiction... Treehouse Masters. A TV show of which the title leaves little to the imagination about the topic of the show but which the content contained within this wild series is beyond your imagination. It's a show on Animal Planet (huh?) about this builder/dad/treehouse-fanatic who is known in the treehouse world as THE GUY if you're in the market for a dwelling amongst the leaves. The show follows him around as he builds tree houses for people who have commissioned him to build their fantasy foliage flat. And if that topic weren't enthralling enough, the host, Pete Nelson, is a hoot to watch (treehouse pun points?). I HIGHLY recommend it. But enough about my slothful habits, let's get on with it shall we? I may still have some convincing to do! I've compiled a cornucopia of tricked out treehouses to incite your envy and show you how these elevated abodes can blend nature and comfort in perfectly magical way. Essentially a home in the sky, a treehouse is the closest our modern world has come to taking full advantage of our air rights. And if that real estate concept doesn't get you all hot and bothered about tree houses, then maybe these architectural masterpieces I've "rustled up," will. Prepare to be BLOWN away (bahaha!) So sit your trunk down and enjoy the show! (last one, I swear). But my favorite is and always will be, The Swiss Family Robinson Treehouse. Check back tomorrow as I'll be revealing the interiors of some of these perched palaces!